Yesterday I went over to Acomb, to retrace my steps for a ‘ten years on’ revisit. Something I’ve been thinking about for a while. I’ve had this site for a long time, and back in the early years it was a personal website not often added to. 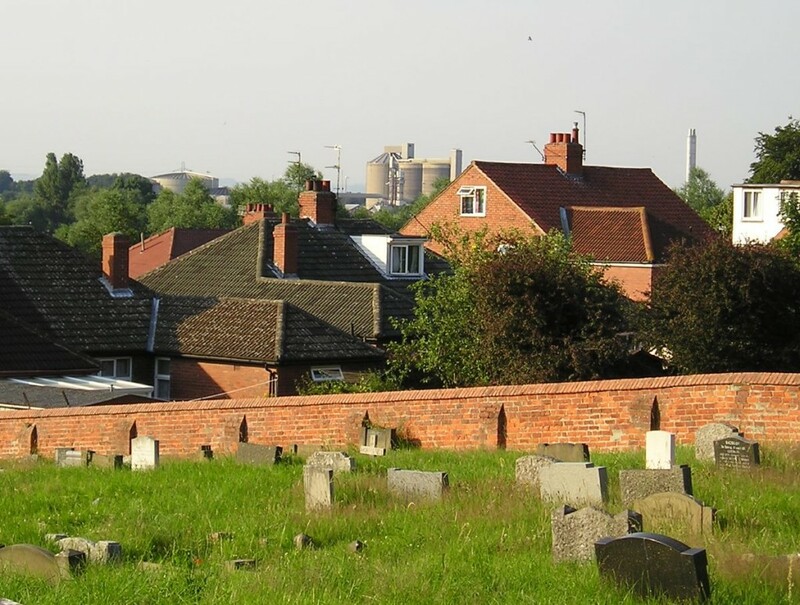 One of the 2006 pages was a page about Acomb, a photo essay. I’ve had many emails about it, and many comments have been added to it in recent years. And because of that, and because it’s ten years on, I’ve been thinking for some months that I could/should do a revisit, on the same day, 3 July, at the same time of day (early evening), retracing my steps of 2006, seeing what’s changed and what’s stayed the same. If it had been a rainy, gloomy kind of day I wouldn’t have bothered. It needed the same kind of weather conditions to be a fair comparison. Also, I don’t like wandering about in the rain and gloom. But hurrah, it was bright and sunny, and so I set off on the big trek from Clifton, over Clifton Bridge and Water End, down Boroughbridge Road and onto Carr Lane, nipped down some side streets towards Rosedale Avenue, intending to start taking photos at the cattle trough by Acomb Green, as I had back in 2006. 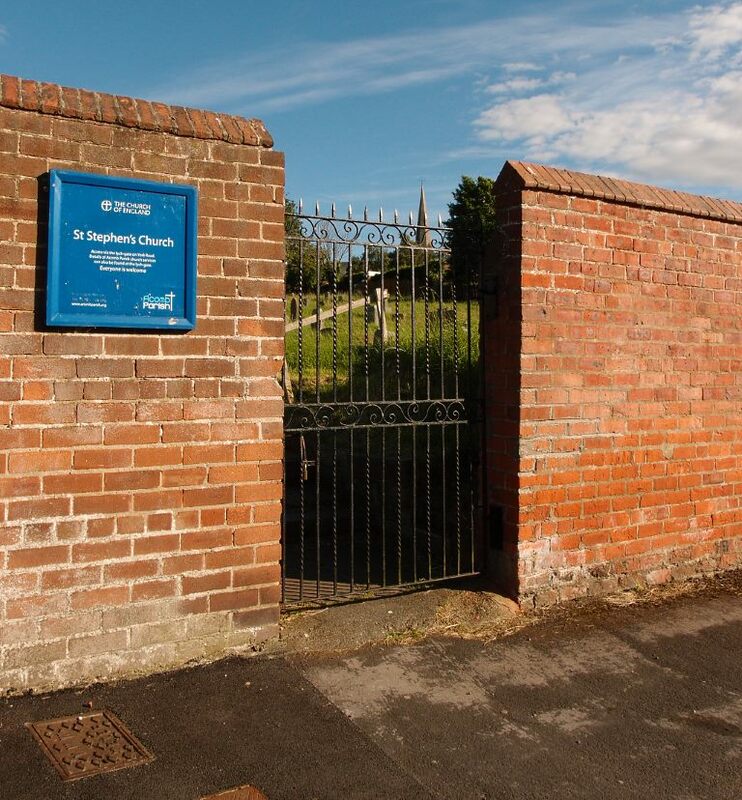 But took a couple before that, of this old wall and gate, the back entrance to the churchyard of St Stephen’s, Acomb’s parish church. All charming under a blue sky. Funny the things that stick in your mind when you are 4! 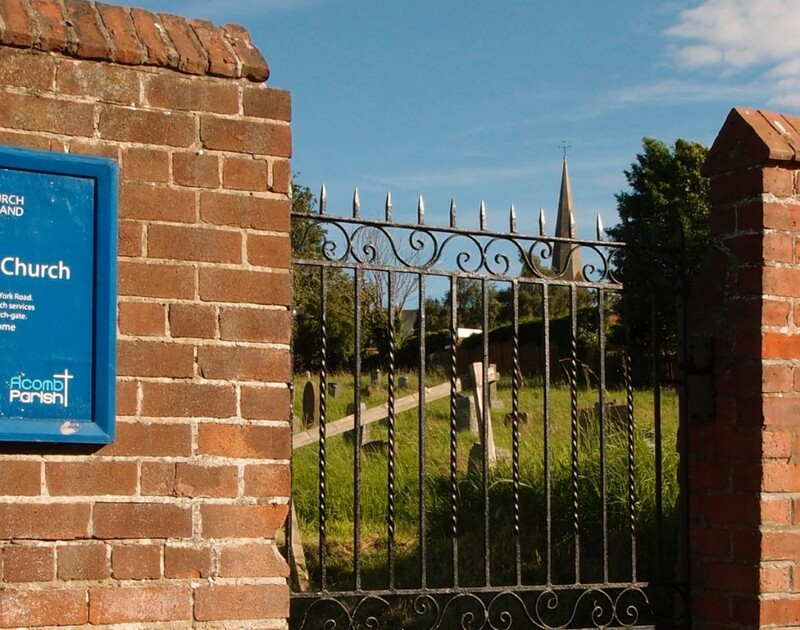 I remember having a key to the little gate in the wall of Rosedale Avenue, so I could take a short-cut through the graveyard to school rather than having to walk all the way round. I hope it looks just the same now, in 2016. The sugarbeet factory prominent on the horizon, back then. Closed and demolished since. Some things stay the same, some change. Let’s move on, back to 2016, and this 2016 wander. 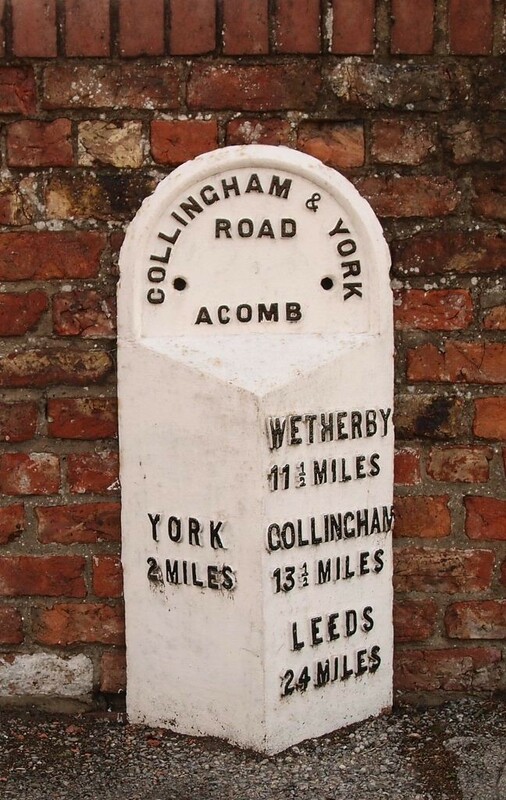 We were on Rosedale Avenue, weren’t we, heading for the cattle trough and Acomb Green. This year’s walk had a musical accompaniment. From the Carr Lane area onward I could hear loud music, rock music, recognisable songs, one by Queen. Assumed it was coming from a nearby house, and thought it must be annoying for the neighbours. It seemed to get louder and louder, and I couldn’t work out where it was coming from. On Rosedale Avenue it was particularly loud, and clearly quite close. It must be on Acomb Green, I thought, and felt a bit concerned about how I was going to take the ‘then and now’ photos I needed if the Green was packed with people watching a band. I was mentally preparing myself for possibly looking like a weird and strange person (probably not for the first time), carefully framing a view of the weedy concrete steps, as planned. At the top of Danebury Drive I realised that the event seemed to be at the sports club field nearby, not at the Green at all. Phew. I could assemble my strange photos without a huge audience. 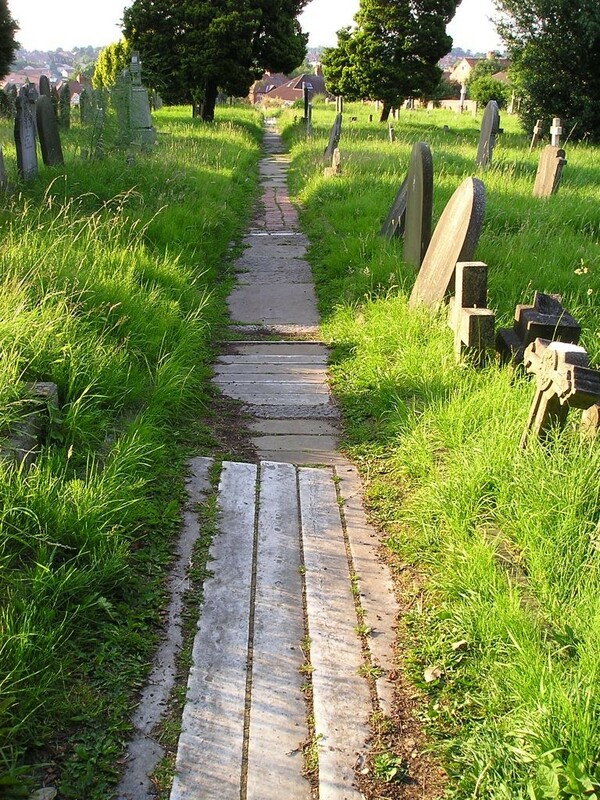 I wandered over the sunny road towards the cattle trough. Only a little bit later than the time I arrived there on 3 July 2006. But that, dear readers, is for another page. 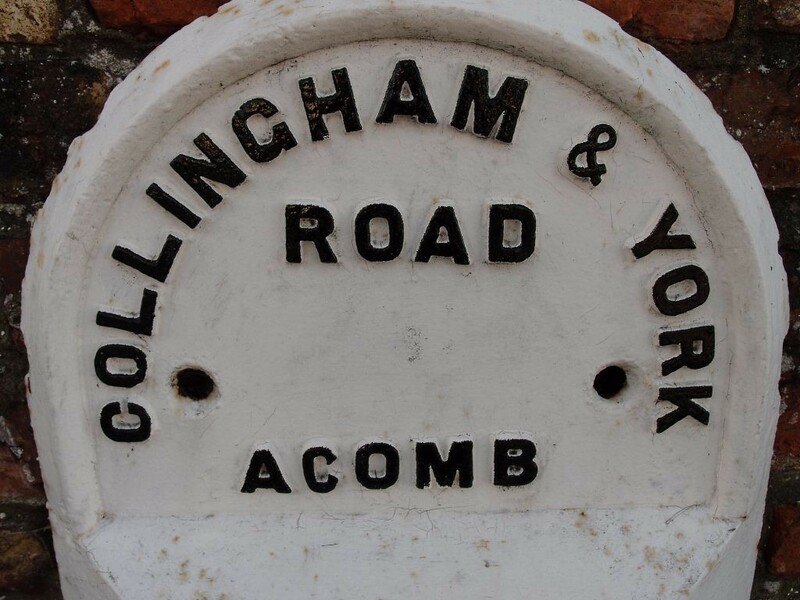 Acomb’s ‘ten years on’ revisit deserves a few. More soon. 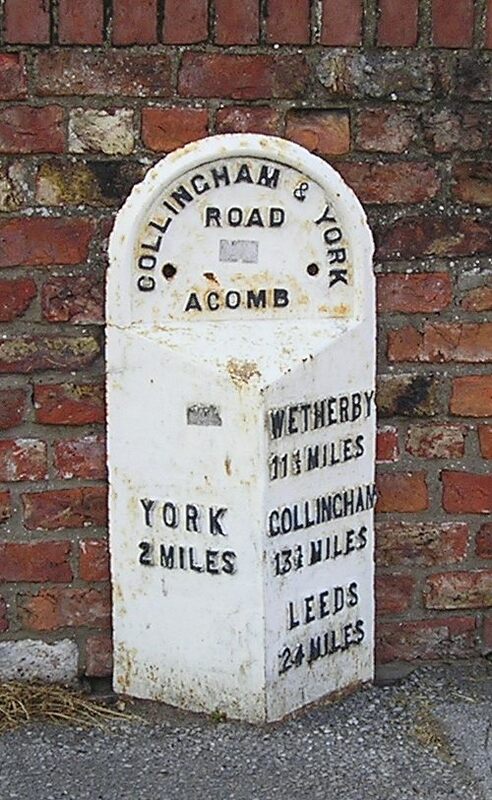 For now, here’s Acomb’s handsome milepost, 2016 and 2006, looking a bit smarter than it did back then. If you’d like to receive news about updates to this website, you can sign up for the mailing list.